Are you frustrated at the state of your business’ lawn or grounds? Is it at risk of being infested with persistent weeds and unsightly moss? If you’re a business that prides itself on making a great first impression to customers, it might be time to consider our quarterly lawn treatment programme, aimed at businesses and public sector organisations looking to return their lawn to top condition all year round.  At Greengrass, we offer a professional lawn treatment service for commercial clients, delivering high-quality, cost-effective lawn care to gardens and grounds surrounding your business premises in the North Essex and Suffolk area. With over a decade of experience in turfing and lawn care, we know how to create lusher, greener and infinitely healthier lawns that make your business a comfortable place to be. This is particularly important for leisure and hospitality businesses such as hotels, spas and fitness centres where the upkeep and aesthetics of their lawns are a reflection on their brand. We offer businesses four seasonal visits to the premises, ensuring lawns and grounds have the perfect balance of nutrients 365 days a year. We’ll liaise with you directly to arrange an appointment to visit your premises and give the essential nutrients to your lawn to improve its immediate condition after the cold winter period. We also select a herbicide which is also applied to minimise the population of weeds before the warmer weather arrives. We will apply a summer coated fertiliser that maintains the strong growth of your lawn from the spring and reduces the effects of warm, dry weather conditions on the grass. Another selective herbicide is embedded to continue to keep weeds at bay. The combination of fertiliser and herbicide helps to ensure a greener, healthier-looking lawn throughout the busy holiday season. Towards the end of the summer season, we will carry out our third visit to your business premises, as protection of the lawn remains paramount at this time; particularly after a hot, dry summer. Our autumn/winter treatment is applied to toughen up the lawn before the next cold snap bites. It’s imperative to harden your lawn against colder temperatures and disease at this time in order to ensure it can look its best again the following year. The feed we apply enhances the overall colour of the lawn, maintaining that year-round green look, whilst minimising moss growth. As lawn care specialists for all types of commercial environments, we are driven to help busy business owners to achieve well-kept, weed and moss-free lawns all year round. We acknowledge how difficult it can be to maintain an impeccable lawn, especially when you’re trying to run a successful business. That’s where we come in. With our years of lawn care expertise, we can manage your lawn with minimal disruption to your business and its customers. Greengrass only use industry leading lawn care products that feature ‘no scorch’ technology – products that don’t require bedding in with water. This premium quality product range, combined with steady time-release granules, ensure your lawn receives a steady supply of nitrogen to guard against surge growth of your grass, but a consistent, lush green garden that you and your customers can enjoy 365 days a year. In addition, all of our treatments are safe to children, pets, wildlife and plants.